Professional bakers prefer using loaf pans that are made of aluminized or stainless steel. These pans are durable and can be used both for baking and storage purposes. 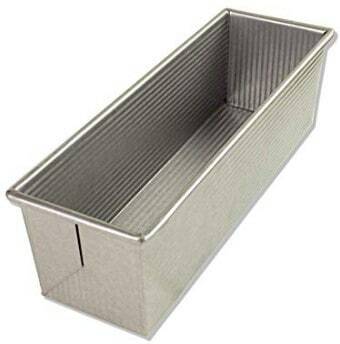 The USA Pan Bakeware Pullman Loaf Pan, also known as a Pain de Mie pan, is one of the loaf pans made of stainless steel. The USA Pullman loaf pan is not particularly large as it measures 13 x 4 x 4 inches. However, it is sufficiently large to produce a loaf of bread for the whole family. This loaf pan is made by USA Pan, a United States company known of its quality kitchen appliances. The USA Pan Bakeware Pullman Loaf Pan with Cover has an impressive design. The pan is made from aluminized steel, which has lightweight properties of aluminum and the strength of steel. The pan’s fluted corrugated design makes it look unique and ensures that heat is distributed evenly throughout to bake your bread evenly. The design also helps to aid air distribution and prevents the pan from warping when exposed to high temperatures. The loaf pan is coated with Americoat, which is a special coating known for its nonstick properties. The lining ensures that your baked food does not stick on the pan. Moreover, since the food will not stick, the pan will be easier to clean. Americoat is BPA-, PFOA- and PTFE-free. The Pullman loaf pan bakes delicious bread– soft on the inside and crunchy on the outside. Its lid cover is an extra that experienced bakers who are eager to experiment will love. The cover allows the pan to double as a bread storage box. The Pullman loaf pan lid, which slides onto it, moulds the would-be rounded top into a perfectly flat one. The pan requires a little love, especially when it comes to cleaning to maintain its performance and strength. This pan can last for a decade and is sold with a lifetime warranty. Pullman bread pans make perfectly rectangular loaves of bread that are consistent in height and width for their entire length. Therefore, when you slice the loaves, you will end up with perfectly square slices, which you can use to make sandwiches. Typical (33 x 10 x 10 cm or 13 x 4 x 4 inches). This loaf pan makes a 2 pound (900g loaf) with about 4 cups (550g or 20 oz.) of flour. Small (23 x 10 x 10 cm or 9 x 4 x 4 inches). This loaf pan makes a 1.5-pound (680g) loaf with approximately 3 cups (425 g /15 oz.) of flour. 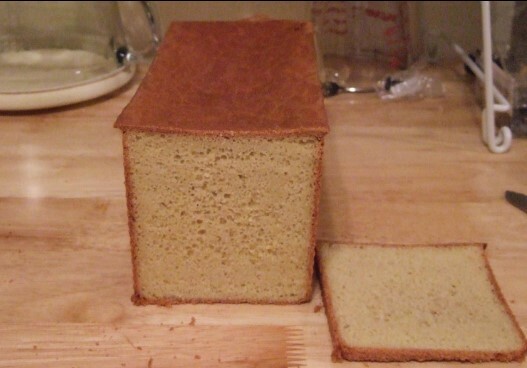 Check the above Pullman loaf pan sizes again to know the size of bread you should expect to bake. Let’s see the main features of the Pullman loaf pan. Aluminized steel design – The pan is durable and your bread will bake evenly. The heavy-duty material makes the pan thin but sturdy. Moreover, it is durable and can withstand high temperatures. Corrugated sides – These help to improve the baking process by spreading the heat faster. The design also makes it easy to release the loaf. Cover – The Pullman loaf pan lid comes in handy if you want to bake a loaf that is soft on all sides. The lid also makes the pan suitable for use as a bread storage box. 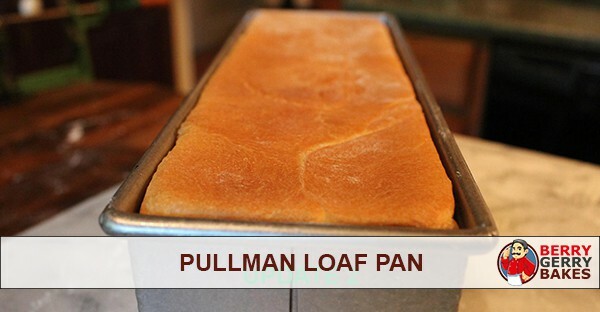 The Pullman loaf pan has a versatile design and is easy to use. This pan is durable and produces excellent loaves that do not stick on the sides. However, to use the Pullman loaf pan lid, you need to measure your ingredients and time them precisely. This pan is not dishwasher safe. Moreover, it is somewhat challenging to reach the corners while cleaning. If you are looking for the best loaf pan that can be used to bake bread for the whole family the Pullman Loaf Pan would be an excellent choice. Moreover, you can offer it as a gift to someone.